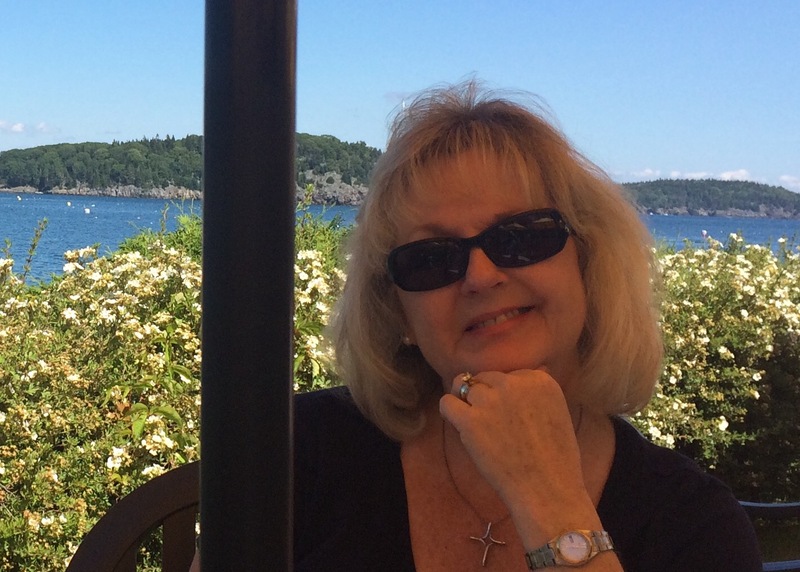 It’s what our mothers always told us, the USDA preaches, and since It’s What’s Cooking Wednesday, I’m going to tell you as well. 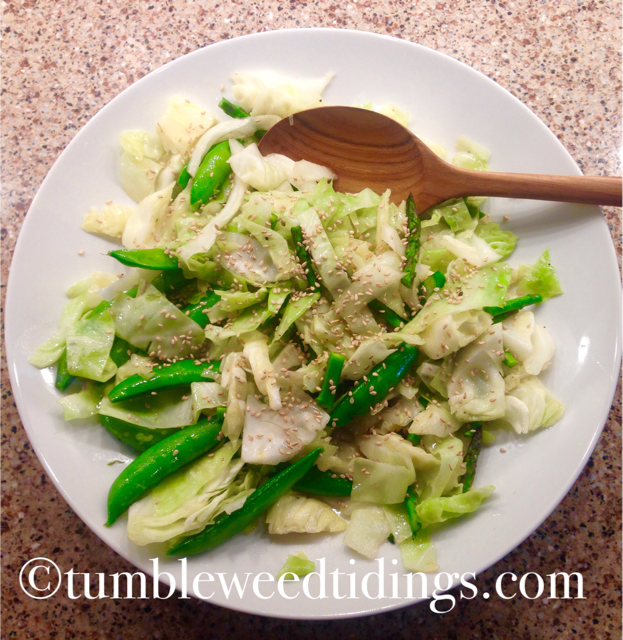 Today I am sharing three easy vegetable side dishes. It is often easy to think of a main course item for dinner, and we repeat some of our favorites like salmon, cod and chicken frequently. To keep our menu from becoming a mealtime version of Groundhog Day, I like to make the routine protein items feel different by not only varying the preparation, but shaking up the side dishes as well. Today, through the ease of shipping and preservation, we can enjoy almost any fresh fruit or vegetable without having to sacrifice flavor, quality, or waiting for an item to be “in season.” And while our preference is certainly local and fresh, today we are fortunate to have such great options to choose from in our stores. Having this option makes it fun to come up with ways to use this cornucopia of options. 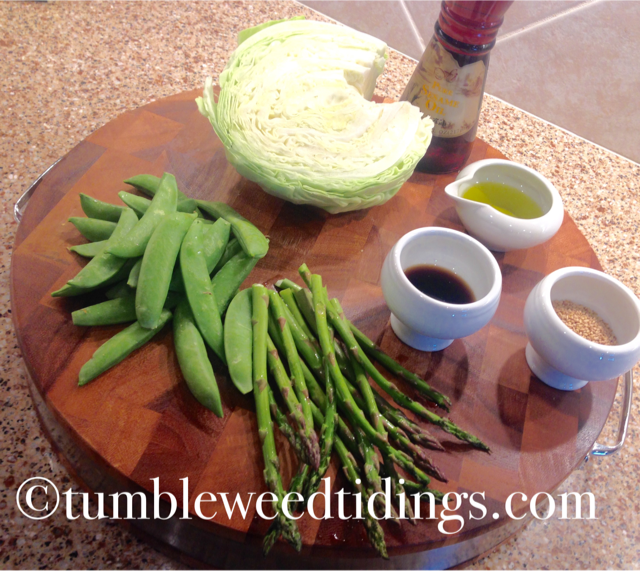 The first side dish is a mashup of some of our favorite vegetables. 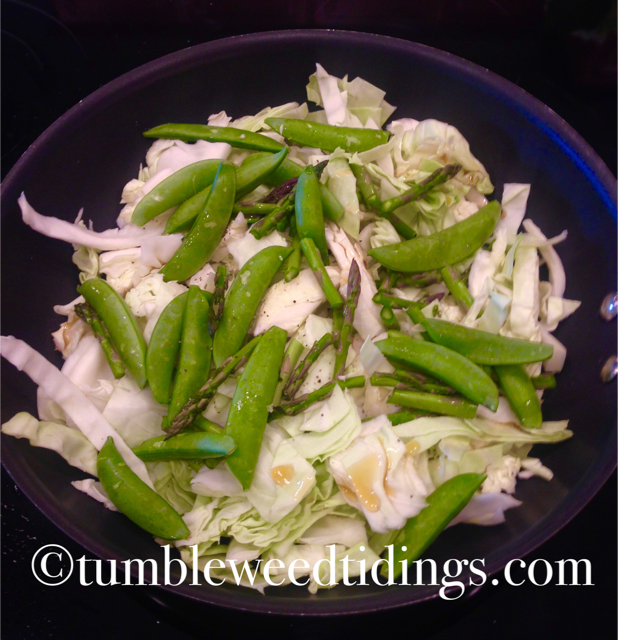 Called Stir Fry Cabbage, it is quick, easy, and can be modified to use whatever vegetables you have on hand. It also has a slightly Asian twist to it, which we personally enjoy. In a large fry pan or wok, heat 3 Tbsp. Salad oil and 1 tsp. Sesame oil on high until hot. Add cut up fresh vegetables and stir constantly until cooked but still crisp. This takes approximately 5 minutes or less. Stir in sesame seeds and soy sauce. Serve and enjoy! 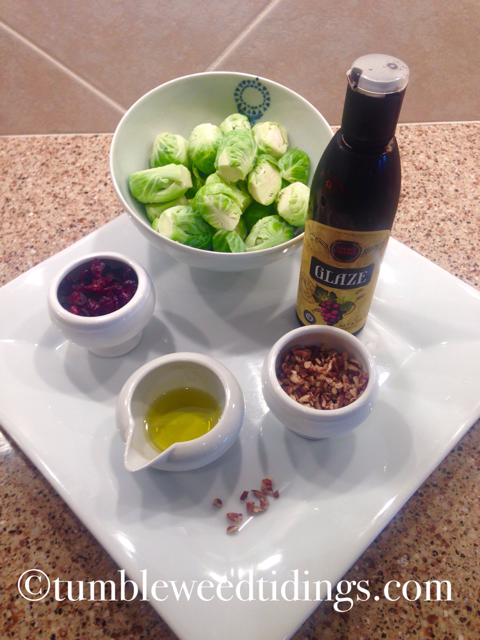 The next vegetable side dish is called Roasted Brussel Sprouts. Once we tried preparing Brussel sprouts in this way, there was no turning back. 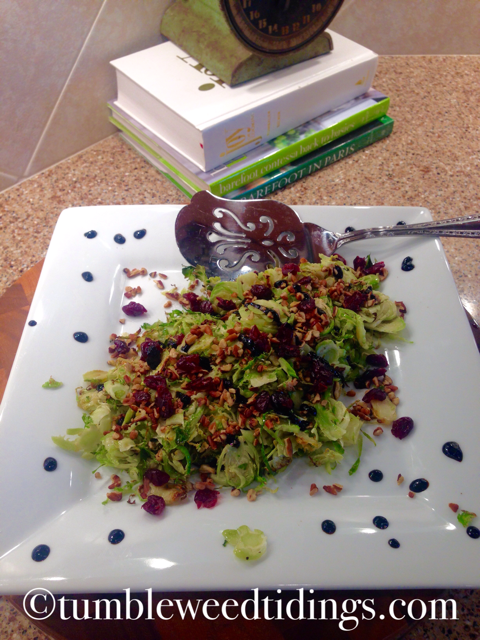 This version somehow makes the flavor milder than with whole sprouts, and the addition of the nuts, balsamic glaze and dried cranberries sends it right over the top. Trim and top Brussel sprouts. Using the slicing attachment of a food processor, place sprouts in feeder tube and slice thinly. If you do not own a food processor, slice thinly by hand. 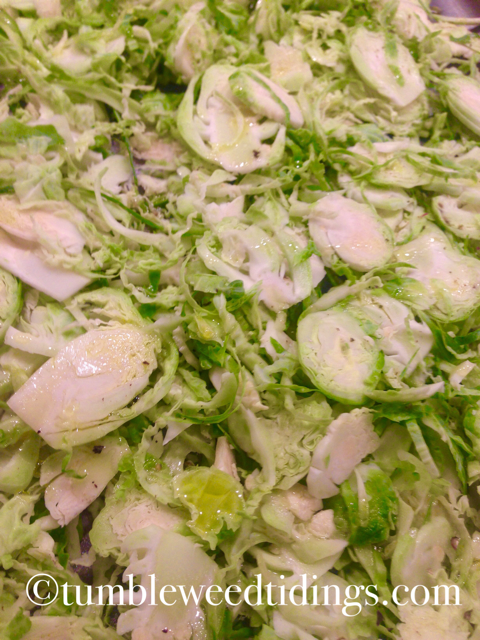 Place sliced sprouts on large baking sheet. Toss with olive oil, salt and pepper. Roast in a 400 degree oven for 10-12 minutes until slightly browned, turning once midway through. Remove from baking sheet and toss with cranberries, nuts and balsamic glaze. Serve and enjoy! 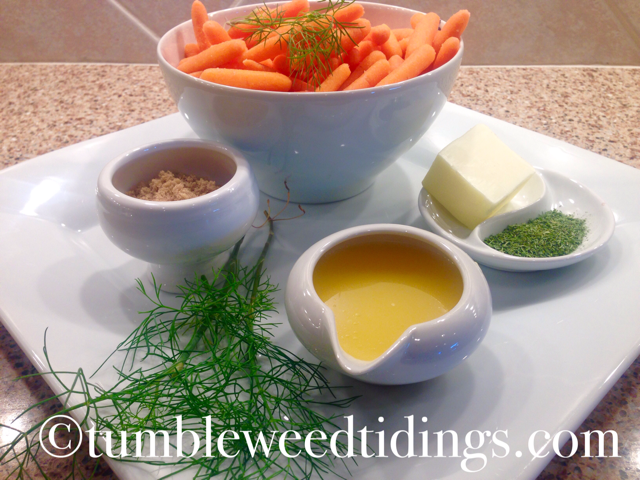 The final vegetable side dish for today is Glazed Carrots with Dill. Carrots are naturally sweet, but something wonderful happens to them when they are cooked. The sweetness gets even more intense, and of course adding some orange juice and brown sugar doesn’t hurt a bit either. In a medium saucepan melt butter, orange juice and brown sugar over medium heat. Add carrots and stir to coat. Reduce heat to medium low and simmer for 10-15 minutes, stirring occasionally, until carrots are fork tender. 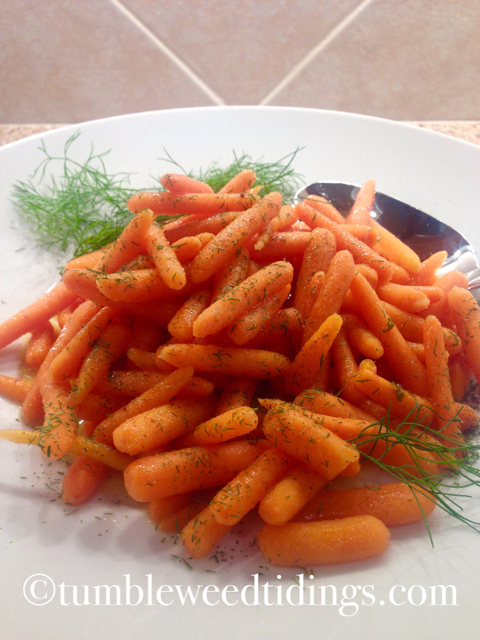 Remove carrots and all remaining liquid to serving dish and sprinkle with dill. Enjoy! 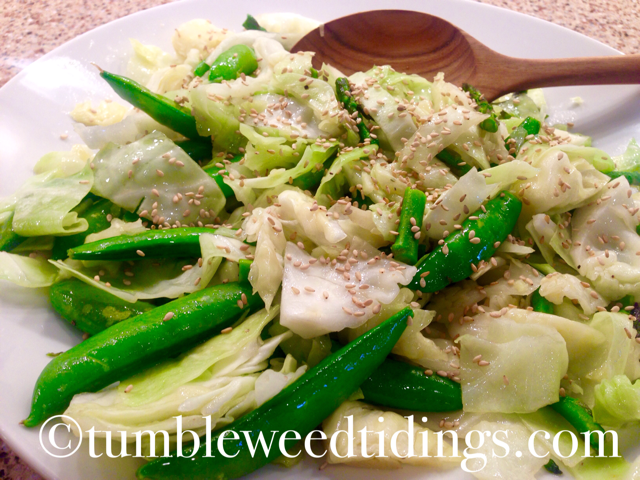 I hope you will try and enjoy these vegetable side dishes. They can each be adapted to incorporate your favorite vegetables, seasonings, while the basic instructions remain the same. Best of all, they are easy enough for quick weeknight dinners, but nice enough for company. So today’s takeaway is to eat your veggies! Your mother and the USDA will be very happy. Thank you! I intend to, as long as my creativity lasts! I loved this. It is easy to tell that you are enjoying doing this. The carrot recipe sounds great…I plan to try it soon!